Производство детских деревянных площадок и комплексов для частных участков. Авторские проекты. Katy Land - российский производитель игрового оборудования для activity парков, детских кафе и развлекательных центров. Благодаря разнообразию и свойствам игровых элементов мы облегчаем процесс обучения через игру. В своих изделиях мы используем только безопасные и износостойкие материалы. Собственное производство позволяет нам создавать проекты, учитывая ваши пожелания, возможности и бюджет. Мы предлагаем качественный товар по приемлемым ценам. Наши специалисты всегда готовы помочь Вам с выбором! Мы создаем оригинальные детские игровые домики и площадки из дерева. Каждый наш проект уникален. Мы строим площадки, которые безопасны для ребенка, где есть место фантазии и всегда весело и интересно играть. А также стараемся максимально воспользоваться ландшафтом местности, сохранить и подчеркнуть красоту сада или двора. For a more grown-up play area, a tennis court, netball court, basketball court, or any other sports court, is a great way of utilising outdoor space to exercise, practice your hobby or start learning a new sport (in the privacy of your own home!). Tennis court construction in Saint Petersburg, Leningradskaya region, Russia doesn’t have to be as cumbersome as it sounds when you hire a sports court designer. They will handle all of the design, logistics and tennis court installation, liaising with you every step of the way, in order to put together your dream outdoor sports area. Why would you need to hire a Saint Petersburg, Leningradskaya region, Russia sports court specialist? Tennis court installation can be very technical; there are many materials, measurements, specifications and technology to consider and it is not a project to take on lightly. The same goes for other sports courts such as netball and basketball courts, football pitches and golf courses, but by hiring a Saint Petersburg, Leningradskaya region, Russia professional who is experienced in sports court construction, you’ll feel much more confident when building your outdoor sports area. Hiring a Saint Petersburg, Leningradskaya region, Russia tennis court construction or other sports court specialist who has worked on similar projects to yours is always important, but with sports court builds it is especially essential as it means the professional will be familiar with national regulations, standards and rules for tennis court installations and other sports fields. 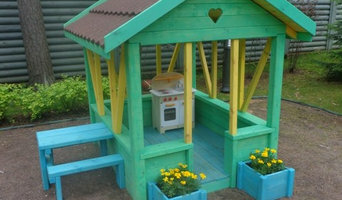 If you want to give your children a place to play that rivals the local playground, then you can talk to Saint Petersburg, Leningradskaya region, Russia playground designers and contractors who can provide you with playground equipment and will install a fantastic playground design catered to your children’s requirements and preferences. 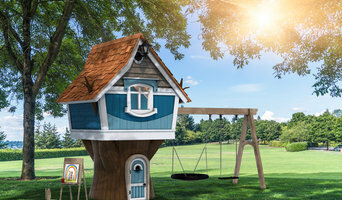 A playground designed by a professional will be safe but fun, and will usually outrival any shop-bought climbing frame or higgledy-piggledy DIY play area. 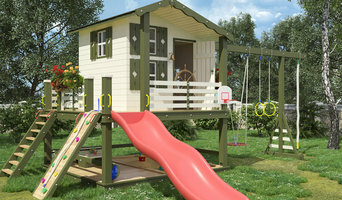 Why should I use a Saint Petersburg, Leningradskaya region, Russia professional to build my treehouse? What questions should I ask a Saint Petersburg, Leningradskaya region, Russia sports court or outdoor play equipment designer? Narrow your search in the Professionals section of the website to Saint Petersburg, Leningradskaya region, Russia sports courts or outdoor play equipment. You can also look through photos to find examples of Saint Petersburg, Leningradskaya region, Russia tennis court constructions, playground designs, treehouses and climbing frames that you like, then contact the contractor who worked on them.